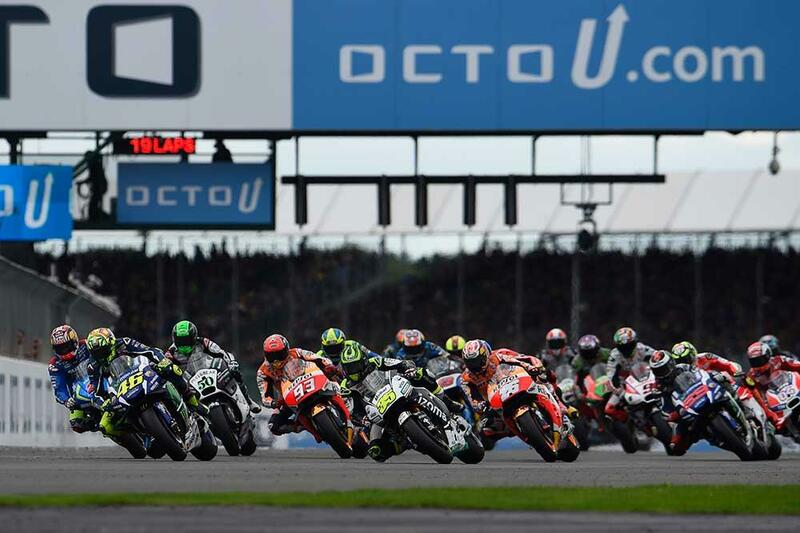 For one long weekend every year Silverstone becomes the most magical place in England, as the MotoGP circus arrives for the Octo British Grand Prix. Not only is this August Bank Holiday weekend your one chance this year to see the legends of MotoGP doing battle on British soil, but also MCN can get you through the gates for less with an unbeatable 12% discount on all ticket prices – provided you buy before May 17. This special one-week-only offer means that an adult ticket for race day is just £52.80, while a three-day ticket is a mere £63.36, or with Grandstand access from only £82.72. The flat 12% discount is great, but it’s actually a double-whammy, as there’s a scheduled price hike on May 17, meaning that you’ll be actually be saving up to 30% on some ticket prices after May 17! You won’t get better than this MCN deal. It’s much more than just one race on a Sunday, too. The Octo British Grand Prix weekend kicks off with the Day of Champions on Thursday, August 24 with the main event on Sunday, August 27 – and don’t forget that it’s a Bank Holiday, so you’ve got Monday to recover from your weekend of exhilarating racing. The weekend is packed with attractions and activity – with some of the best camping facilities and off-track entertainment you could hope for. So why not dig your tent out, get your family and friends together, and invade Silverstone for the whole weekend? There’s a pitlane walkabout and paddock access on Saturday (limited tickets available soon), and a Friday night concert with ’80s legends ABC, plus Jack Savoretti and super-star DJ Seb Fontaine. There’s stacks of family-focussed fun and features to keep all ages entertained, and there’s even a planned track walk and post-MotoGP track invasion, meaning you can get closer to the stars than ever before – all at unrepeatable prices. Book now to save 12% on all ticket prices! Get saving with this fantastic MCN ticket offer now – you have only seven days to get this unrepeatable discount. Simply head to the Silverstone website or call the ticket hotline on 0844 3750 740, and use the following codes to receive your MCN discount. GET 20% OFF BRITISH MOTOGP TICKETS!